Prototype: German Federal Railroad (DB) class 798 (former VT 98) motor car and class 998 (former VS 98) control car. In the crimson paint scheme of Era IV at the start of the Seventies. Model: The motor car has very fine imprinting including the "Uerdingen Diamonds", rubber door gaskets for the folding doors, printed lamp rings, etc. It has been converted to the new motor generation and has prototypical buffer replicas. The set has interior details, LED interior lighting, and wheels with dark nickel-plated wheel treads. Length over the buffers 62 mm / 2-7/16". LED interior lighting in the control and the motor car. Unforgettable Branch Line Growlers. The experiences with the single-motor class VT 95 (later the class 795) rail busses developed by the firm Waggonfabrik Uerdingen proved the basic suitability of these units for the urgently necessary modernization of branch line service. At the same time, the class VT 95's power plant was too weak for routes with grades, particularly when operated with trailer units. For that reason, three prototypes of the class VT 98.9 (later the class 798.9) rail bus equipped with two 150 horsepower / 110 kilowatt Büssing motors followed a year later. These units fulfilled to a large extent the expectations set for them. However, the three test units still had Scharfenberg center couplers and lightweight spring-loaded metal straps for protection against contact with locomotives and cars with regular buffers. Delivery of the regular production two-motor class 98.95 (later the class 798.5) rail busses began in 1955. Compared to the test prototypes, the 329 units built were equipped with newly developed frames for the wheel sets with improved running characteristics as well as standard prototype couplers, regular buffers, and a standard design brake system. This enabled these more powerfully motorized rail cars to also pull transfer freight cars if necessary. In addition, the VT 98 units had a form of multiple unit control that enabled not only shuttle operation, but also the control of a motor car at the other end of the train. 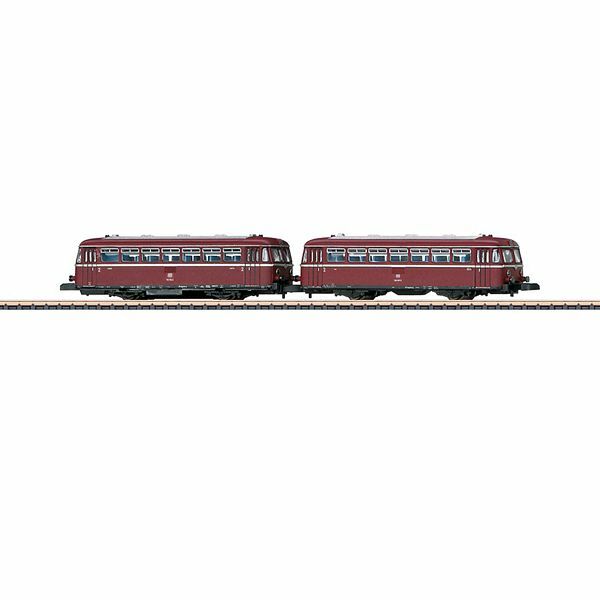 Suitable control cars (VS 98) and trailer cars (VM 98) were also placed into service to go with these powered rail cars. 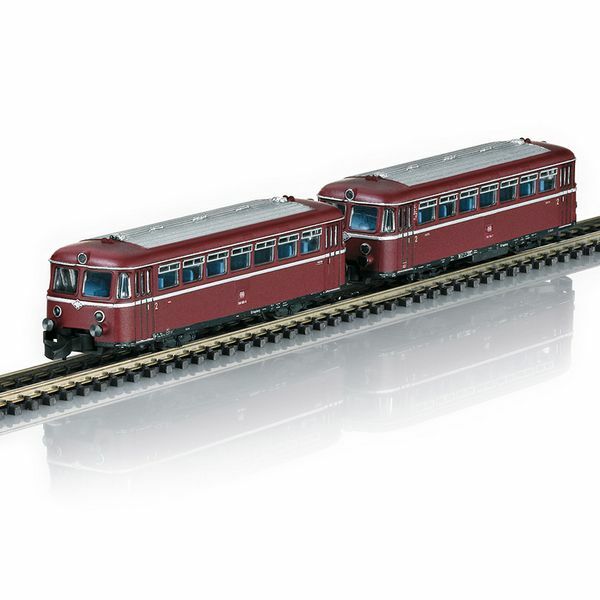 These crimson rail bus sets quickly defined the look on German branch line routes, where they quickly replaced the trains that previously were still hauled by steam locomotives. The Uerdingen rail bus sets left an enduring impression on the memory of many railroad passengers: For decades, these red growlers were synonymous for mobility in rural areas. The hearts of many railroad users still belong to these lovable "branch line saviors" from the time when they were placed into service.